The total lunar eclipse was an absolute beauty. Lovely clear skies. 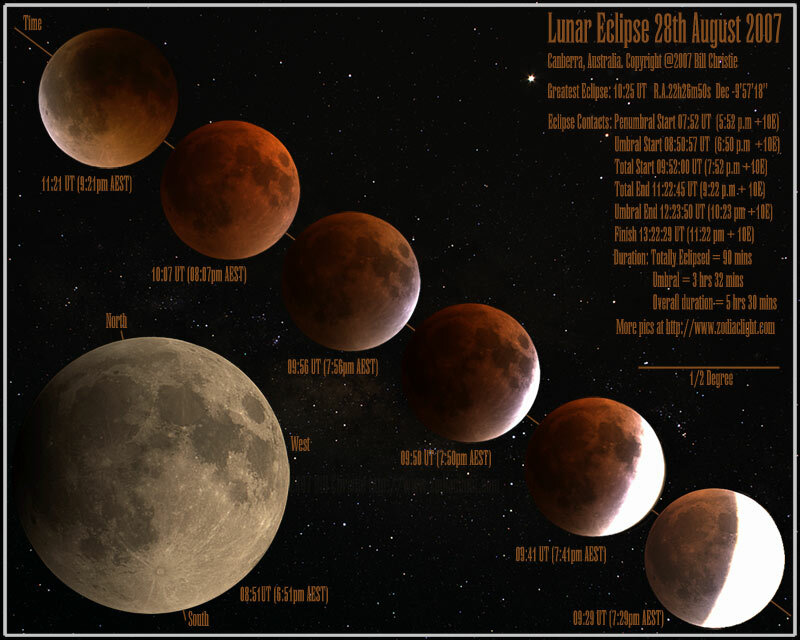 I was able to get some good data, so this page will be updated over the next few weeks with more eclipse pics. I took about 1,700 frames including darks. 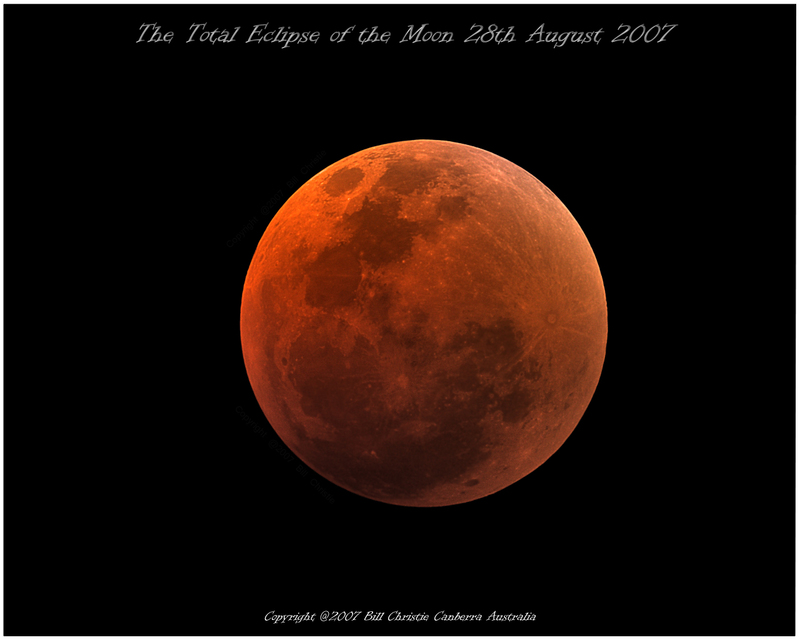 Here's a montage of the eclipse showing the moon's progress into the shadow of the Earth' Umbra. For a closer view click the image below to see a poster size version. FOR MORE ECLIPSE PICS CLICK HERE. The moon in this pic is completely in the Earth's umbra (shadow). When it is fully in the Earth's shadow the moon doesn't get fully dark. It is illuminated in a strange orange-brown (a sunset) color. 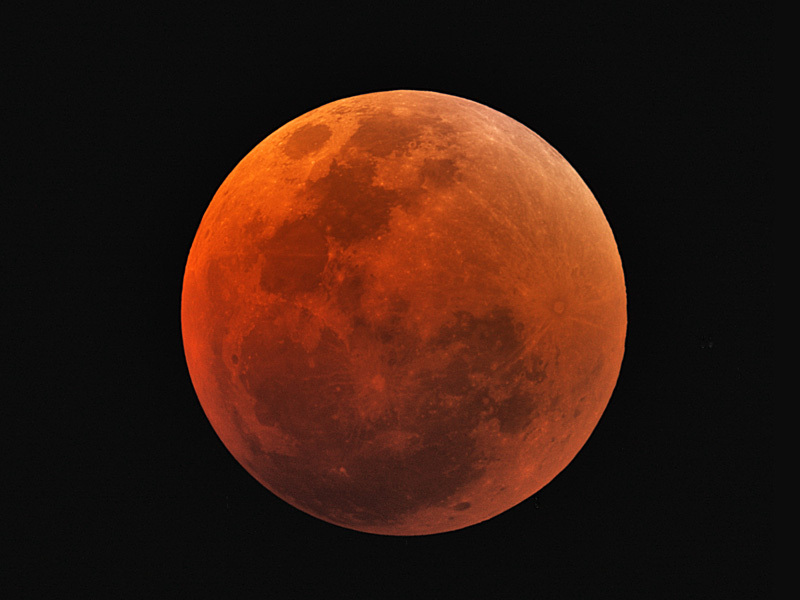 This color is the result of light refracting and reflecting through the Earth's atmosphere to strike the moon. As the sun's light traverses the atmosphere it is stripped of blue light by Rayleigh scattering (caused by dust and molecules in the air). This is the process that gives the atmosphere around the Earth its beautiful blue color when looking at the scattered light and the lovely orange sunsets when looking at the filtered light. What light is left to reach the Moon has much less blue light in it and the result is this nice orange brown - all that's left to hit the moon. Basically the moon is lit by an orange halo that surrounds the earth - as viewed from the moon. For more eclipse pictures click here.